ICC has issued a Chapter Monthly Update for April 2019. To view breaking news and announcements throughout the month follow the link provided. Training will be on Chapter 30 of the VCC as it pertains to Elevators, anyone is welcome to attend, we do have limited seating so please RSVP to Paula Johnson at pkjohnson@fredericksburgva.gov or call her at 540-373-1080, no later than April 19th . VBCOA is sponsoring eight (8) scholarships of $1000 each to attend the 2019 ICC Group B Committee Action Hearings in Albuquerque, New Mexico on April 28– May 8, 2019. All active governmental and associate level VBCOA members in good standing are eligible to apply for the scholarships through the attached application. The scholarship application due date is 5:00PM Friday March 15, 2019. The VBCOA scholarship applications are evaluated and selected based upon responses to VBCOA scholarship application questions and narrative. Priority consideration may be granted to VBCOA members who serve in VBCOA official, regional, or committee leadership capacities and to those general VBCOA members who have never attended previous ICC conferences or not received prior VBCOA scholarship awards. The VBCOA scholarship funds are intended to supplement and support roundtrip air/ground transportation, hotel accommodation, and meal per diem expenses. Any expenses incurred beyond the scholarship award are the responsibility of the attendee. Registration for the 2019 ICC Group B Committee Action Hearings is at no charge. VBCOA scholarship recipients are personally responsible to submit their ICC conference registration and to secure their air/ground transportation, hotel accommodation, and meals. The VBCOA scholarship recipients are reasonably expected to attend and participate in all ICC code hearings, meetings, and events as applicable. Please allow at least 7 calendar days for the VBCOA Awards and Resolutions Committee to consider and notify scholarship recipients after the close of the scholarship application period. Unfortunately, late VBCOA scholarship applications shall not be accepted or considered. Questions regarding the VBCOA scholarship program should be directed to Mike Williams at mike.williams@harrisonburgva.gov or 540.432.7700 or Pat Hughes at phughes@cityofchesapeake.net or 757 382-6018. Thank you and we hope to see you at the 2019 ICC Group B Committee Action Hearings in Albuquerque, New Mexico on April 28 – May 8, 2019! Mr. Jerry Henderson, currently with Oregon based Energy Assurance Company, will discuss the planning, design, development, permitting, and installation of large scale (5,000+ kW) systems. Equipment, inspections, siting concerns, and decommissioning are among the topics that will be covered in this day-long training. Jerry has worked developing installation standards and permitting processes, served as a technical advisor and industry representative on codes and standards committees, and developed and delivered training since 1992. Jerry is also a sought-after consultant and trainer, a trainer and subject matter expert to the ICC and SRCC, and the lead creator of the International Solar Energy Provisions of the International Codes. To register please visit the VBCA Online Registration System or for additional information or questions contact the VBCA office at (804) 371-7180. In 2019 , will bring about some changes and we need all of you all to assist and be active. That starts with our first meeting of the year, January 17, 2019, City of Newport News Main Street Library Newport News VA where we will need to elect a new VBCOA Region 8 Chair. All interested members please email our Region 8 nomination chair Patrick Hughes at phughes@cityofchesapeake.net, no later than January 14, 2018. During this meeting we will have Mil-Tek come and provide us some valuable training. 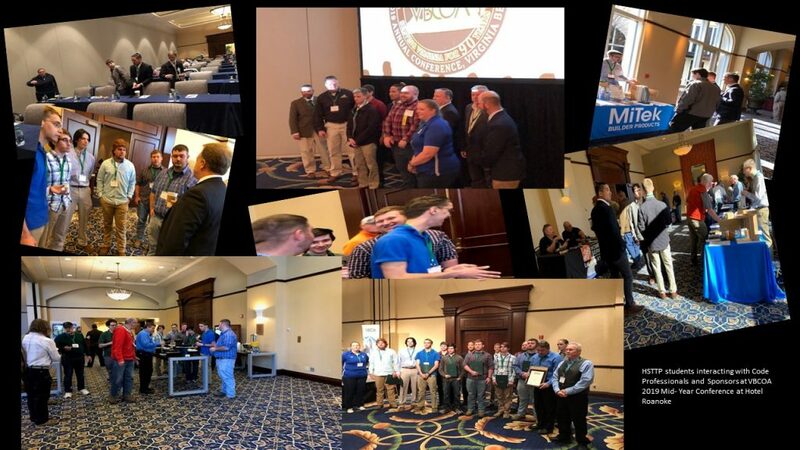 At the Chapter Presidents’ Meeting on Monday, Oct. 22, 2018, Chapter Merit Award winners — the Washington Association of Building Officials and the Building Officials Association of Texas — and the recipient of the prestigious Chapter of the Year Award — the Virginia Building and Code Officials Association — were announced. The Chapter of the Year Award is the Code Council’s highest award bestowed upon a chapter and recognizes the extraordinary performance of a chapter in promoting the goals and mission of the Code Council. 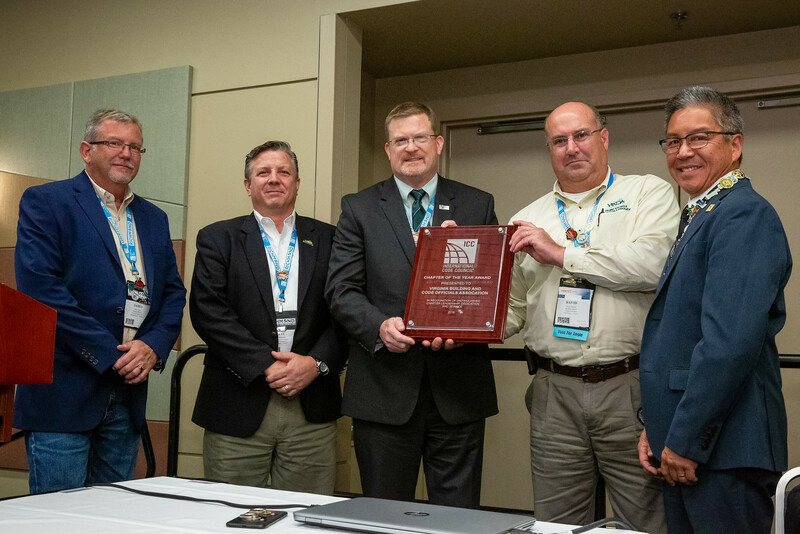 The recipient of the 2018 Chapter of the Year Award is the Virginia Building and Code Officials Association (VBCOA) for its work to advance participation in the code development process and promote the building safety profession through extensive education offerings. 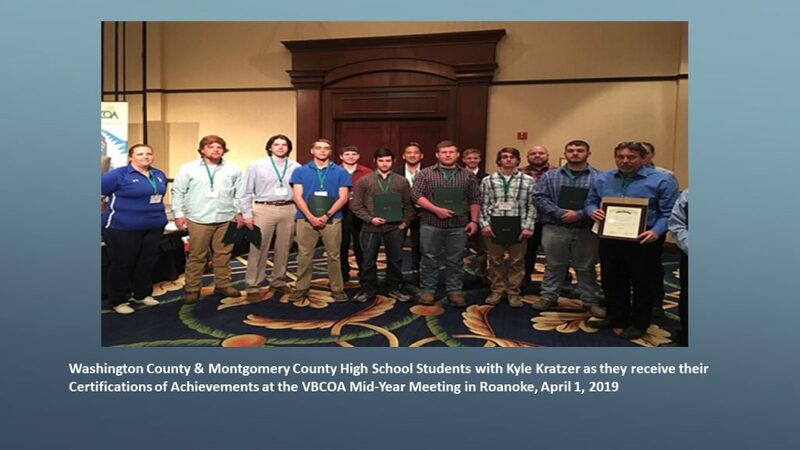 The Virginia Building and Code Officials Association is one of the Code Council’s most active and engaged chapters and has accomplished some inspiring and exciting things this year. From training to mentoring and community engagement, VBCOA is a true leader in the building safety field. 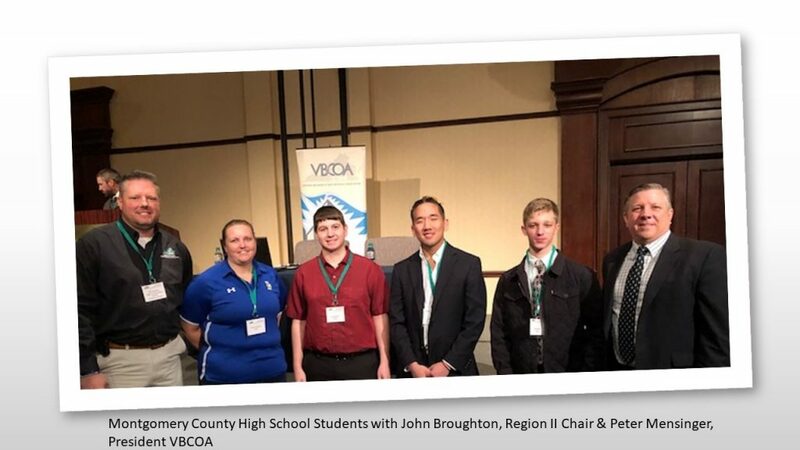 A prominent local and national advocate for building safety and the model codes, VBCOA has worked extensively to advance participation in the code development process. In partnership with the Virginia Department of Housing and Community Development, VBCOA provides training on cdpACCESS across Virginia and helps code officials register and vote on proposed code changes both online and at the code hearings. VBCOA members enthusiastically participate in code development committees and in code adoption activities on a regular basis. The chapter goes above and beyond to promote building safety professionalism through extensive educational program offerings. VBCOA hosts an annual conference for more than 200 code officials, inspectors and other professionals. The conference includes many sessions taught by instructors or providers approved by the Code Council. Thanks to VBCOA’s leadership, more than 90 percent of its members are ICC certified. VBCOA is also a passionate advocate for supporting the next generation of building safety professionals. 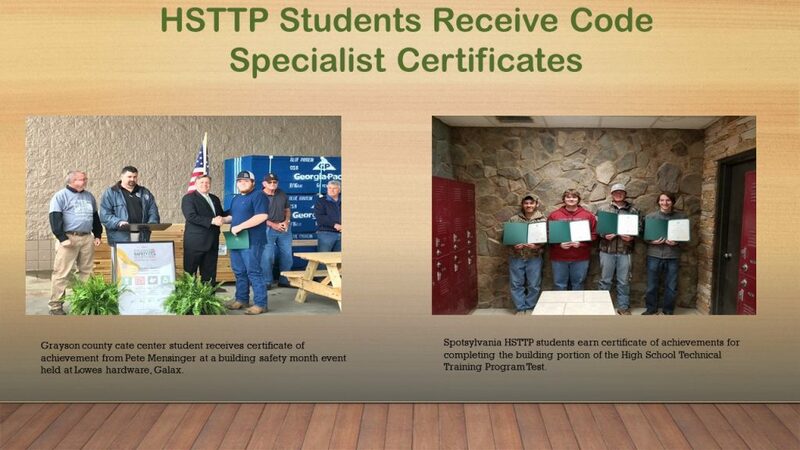 They have been a vocal supporter of the Code Council’s High School Technical Training Program since its inception. Virginia currently has the most participating schools in the nation due to VBCOA’s diligent work in recruiting participants, promoting the codes curriculum and establishing long-term relationships with schools. 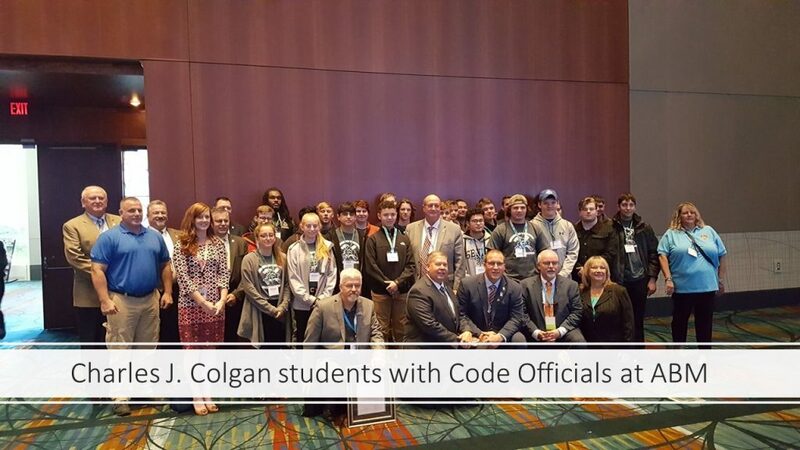 On the national level, VBCOA participation in Code Council activities is exceptional. VBCOA members serve on the Code Council Board of Directors and participate in Membership Councils, exam development committees, the Professional Development Council, ad hoc committees and more. From education and certification to code development and adoption, VBCOA is a leader on the local, state and national level. 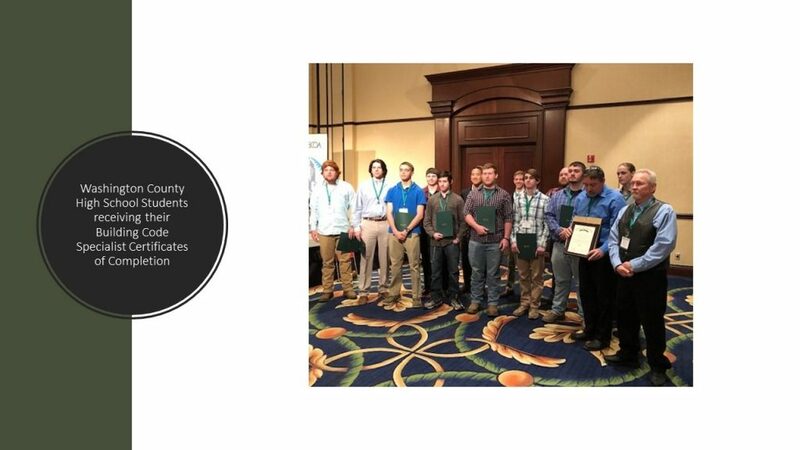 The International Code Council congratulates the Virginia Building and Code Officials Association as its 2018 Chapter of the Year. If you are planning on taking any or all of the online series and do not yet have the accompanying student guide you can request a hard copy by contacting the VBCA office at vbca@dhcd.virginia.gov or (804) 371-7180 and one will be mailed to you at no charge. Otherwise a pdf version will be available to view or download from the presentation screen of each of the modules. Lead from where you are. Our goal for this campaign is to increase our membership by 250 new members. In order to make this happen we need you, the members to promote all the wonderful things that VBCOA does. As building safety professionals what we do make a difference in our communities. Our strength is in our members. Be a part of increasing our strength. The member(s) who brings in the most members will be recognized at our mid-year conference in April 2019.